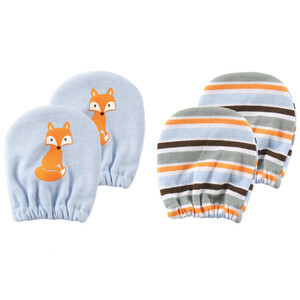 Luvable Friends scratch mittens are the perfect way to keep your baby's little hands covered and avoid scratching. All scratch mittens are 100% combed cotton, so they are safe and gentle on baby's skin, but durable and machine washable for everyday use. Elastic bands around the wrists ensure a snug, but comfortable, fit so mittens do not come loose or off during the night. Assorted with 1 print and 1 coordinating solid. Matching colors and designs make these two items a perfect pair! 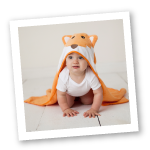 Give as a great baby shower gift or keep for yourself!